If your home is presentable but your bathroom is in a terrible state, perhaps all you need is a single bathroom cleaning job. Our cleaning specialists in London are here to save you all the hassle and headaches. 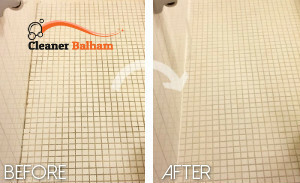 We offer a professional bathroom cleaning service in Balham, thanks to which your bathroom will be kept bacteria and grime free at all times. We achieve high-quality results. We have a flexible schedule, which means that you can get a weekend service if you wish. We are here to help you. Don’t miss out on this chance. Give us a ring. 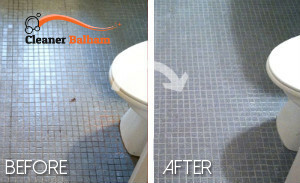 Our bathroom cleaning service in Balham SW12 has what it takes. We use the best equipment and yield splendid results. We assure you that our service is of high quality. We think you ought to try it. If you need a single bathroom cleaning rather than a top-to-bottom cleaning of your home, then our bathroom cleaning service in SW12 Balham is for you. We focus on removing hard water stains, rust, soap scum and limescale. Our goal is to keep your bathroom presentable and germ-free so that you and your family are safe there. Our service focuses on cleaning your showers, bathroom tiles, floors, bath tubs, toilet and sanitary ware. We handle hard-to-reach places. Sometimes there can be hard-to-clean areas as well. We go out of our way to get rid of stubborn grime and dirt. For the purpose, we use high-quality cleaning equipment, which has the power to lift dirt and loosen debris. What’s more, our cleaning system is innovative. We use the best approaches and we are focused on making your bathroom shiny. We can bring the sparkle back to your room. The only thing you need to do is call our call centre operators, who are sitting by the phone and waiting for your call. They can help you set up an appointment. Get in touch with us and let us know more about your preferences. We are here for you.